Innovations in agriculture developed some 12,000 years ago, taking root in the Fertile Crescent in Asia. Neolithic peoples slowly began transitioning from wild harvesting and began planting wheat, barley, figs and peas. They harnessed the waters developing irrigation, they discovered soil amendments increasing yields, and most notably they saved the seeds of the juiciest, sweetest and healthiest plants to plant the next year and the year after that. This arrangement served us well as a species: civilizations sprang forth, we built pyramids, sailed ships and set about populating the globe. Everywhere our ancient ancestors went they brought their seeds, shared them with others and replanted only the best. Seed sharing was common, and seed saving was inherent to the survival of our species. In fact, one of the first written pieces of law, “The Code of Hammurabi,” had specifications on how to pollinate crops and improve the next generation of seeds. In 1883, private seed companies began lobbying to end public seed distribution. By the year 1924, public seed distribution had vanished. Usher in the technologies from WWII and plant breeding took a new turn to increase harvest and withstand agricultural chemicals. In the 1990s, the Supreme Court deemed that seeds and plants could be patented which prevented farmers from saving them and researchers from studying them. Back in the 1960s, more than 60% of soybean farmers in the US saved and replanted their seeds. They had rights and securities on next year’s crop. Today, less than 10% of our soybean farmers save their seeds. The plot thickened as large pharmaceutical companies began buying up independent seed companies and research dollars for public plant breeding were slashed. Now just five companies control 60% of the global seed market. Three of them control 47% of the world’s proprietary genetics. If you want to learn more, read “The greatest story never told” at http://www.seedmatters.org/, it’s an epic one! Most of the seeds now being developed and patented are genetically altered (GMO) to withstand heavy applications of pesticides and herbicides in the fields. It is no coincidence that the very patent holders of the seeds are the same actors who make and sell the chemicals being applied. This onslaught of chemicals worked for a few decades, but as we know, nature marches on and learns how to evolve rather quickly. Those pervasive superweeds have evolved to thrive despite even heavier applications and noxious concentrations. Just last week, Monsanto and DuPont announced a partnership to sell new “Roundup Ready 2 Xtend” soybeans which are genetically altered to resist dicamba and glyphosate to fight the rise of superweeds. As a result, Monsanto’s own analysis has indicated that dicamba use on cotton and soy will rise from less than 1 million pounds to more than 25 million pounds used per year. 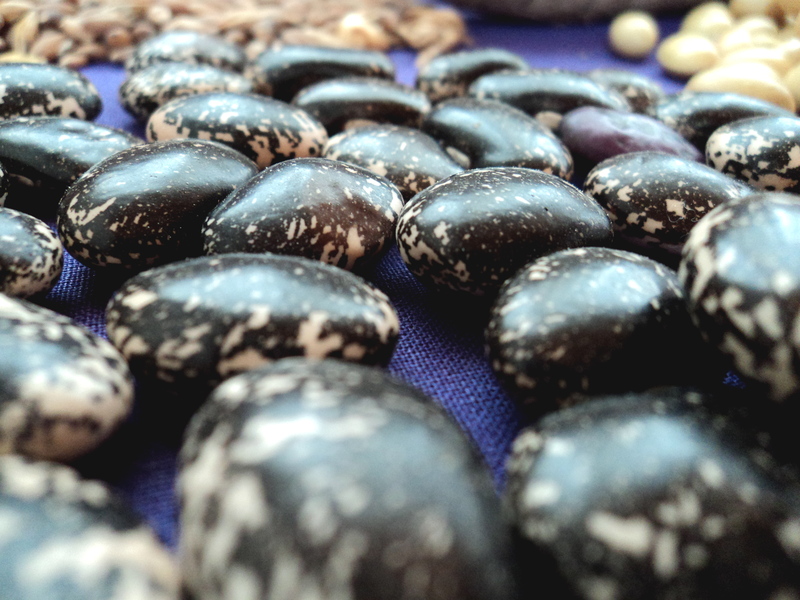 Right now there are ways we can support seed biodiversity. Organizations doing good work to preserve our seed biodiversity include The Organic Seed Growers and Trade Association, which seeks to maintain seed purity. They have developed an online digital resource library for the organic seed community. The Organic Seed Alliance is committed to advancing the ethical development and stewardship of the genetic resources of agricultural seed. Their just released State of Organic Seed, 2016 is now available! 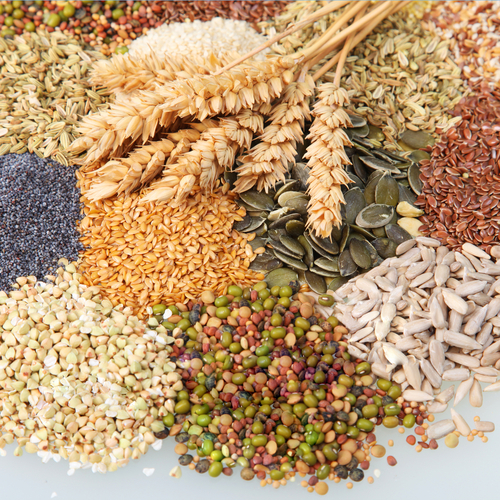 This report is part of their ongoing project to monitor the status of organic seed in the US and execute recommendations that increase the diversity, quality, and integrity of available organic seed. I am proud that the UNFI Foundation supports these and many more organizations that seek to protect our genetic legacy through organic biodiversity. You can follow the UNFI Foundation on Facebook to learn more about its work supporting organic agriculture. Organic Agriculture can be the productive ceasefire that promotes open source seed biodiversity and works within the balance of nature to control weeds. Let’s take back our agricultural legacy and end the industrial chemical warfare. This entry was posted in Environment, GMO, Social Implications in Agriculture and tagged Organic Agriculture, Organic Seed, Organic Seed Savers, Organic Seeds, Superweeds. Bookmark the permalink. You are very welcome. The story of seeds and their corporate takeover is one that must be shared. Melody has a relative newcomer to your following I found your writing to be informative and well written I appreciate on history and the very concerning evolution of seed ownership and contro. I am glad you found it informative. 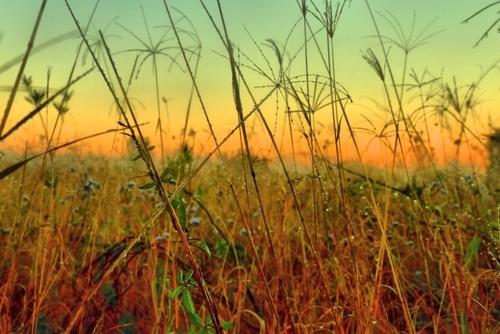 It’s a seedy situation creating havoc in our fields and endangering our food sovereignty. Thanks Melody, it would seem that the more farmers who engage in Organic and/or natural agriculture practices there will be a commensurate increase in the sustaining of bio diverse seeds and plants. I support all measures that the UNFI foundation can do to assist up and coming farmers taking the Organic path to sustainability. So true Richard! The more organic farmers we can cultivate the healthier our food system will be! Very nicely written. Thank you! Melody, You may know already that I started my journey in Organic Farming/Gardening in 1950 on my Vermont Dairy Farm. I agree with your analysis of how the toxic chemicals have gained and been promoted to causing tremendous damage to the Earths fertile soil and caused illness all over the world. I would like to add a small part of my experience in the more than sixty years of Organic. I use 24-D herbicide in 1949 and never again. It was in the early years of development by Monsanto. I found it to be a hormone that promotes the growth of the weeds so fast they wilt. It is now found up through the food chain in 93% of peoples blood and in Mothers breast milk. I question this in 1951 and was told it would dissipate. It has not but taken 5 decades to come from the residue in the soil to the point of no return. My Opinion: Autism is going to be 50% by 2025. What a tragedy and the Scientists have not found any reasonable cause. Babies are developing their natural hormone system very vunerable. Unnatural hormones can override the natural. There is a big increase in the hormone use in beef, poultry, plants and so many food items that is going to be a disaster for the human race world wide. Monsanto is a 53 billion dollar Company and has 35 lobbyist in DC. Plants on every Agriculture committee. The Agriculture Commissioner is a former employee of Monsanto. This is much more serious than global warming that billions of dollar are being spent on and no noticeable results. It is time to stop poisoning the soil where all our food comes from. Thank you for your thoughtful comments. I appreciate your commitment to food, farming and health. We need more farmers such as you! The implication is that five companies control 60% of the world’s seeds. In the scariest interpretation, that could mean “60% of the varieties of plants we grow,” which is, I think, the interpretation that is intended. That would be alarming. Instead, what that statistic means is: “60% of the revenue generated from seed sales.” Monsanto alone accounts for 27% of the revenue generated from selling proprietary seeds. However, here are the seeds Monsanto sells: Alfalfa, canola, corn, cotton, sorghum, soybeans, sugar beets and wheat. Absent from this list are tomatoes, carrots, sunflowers, and, to be quick about it, every other type of seed there is. Hundreds of them. So, five companies take in 60% of the revenue from approximately eight crops. That is definitely an interesting statistic, but it isn’t the same as “controlling” (a strange verb in this case, not sure what that means) 60% of the seed market.